By Charlotte, Brady, and Jackson. 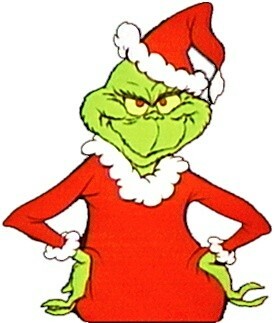 I think the theme of the story "How the Grinch Stole Christmas" is that Christmas is about family, not gifts. I think that because in the story the text states, "Then he slithered and slunk with a smile most unpleasent, around the whole room and he took every present!" This shows that the Grinch was trying to take away Christmas by taking away the gifts. My second piece of evidence states, "Every Who down in Whoville, the tall and the small, was singing! Without any presents at all!" This shows that the Whos still celebrated Christmas, even though there were no gifts. My final piece of evidence states, "Maybe Christmas doesn't come from a store. Maybe Christmas, perhaps, means a little bit more!" This shows that the Grinch learned that Christmas is not about presents. All of this evidence shows ties in with my theme because the Grinch tried to ruin Christmas by stealing the presents, only to learn that c=Christmas is about family, not gifts. The Grinch wanted to steal Christmas, but he needed a disguise, so he made a Santa suit, and stole everyone's gifts and decorations. Then, when the Grinch saw all of the Whos happy on Christmas morning, he learned that Christmas is about family, not gifts.